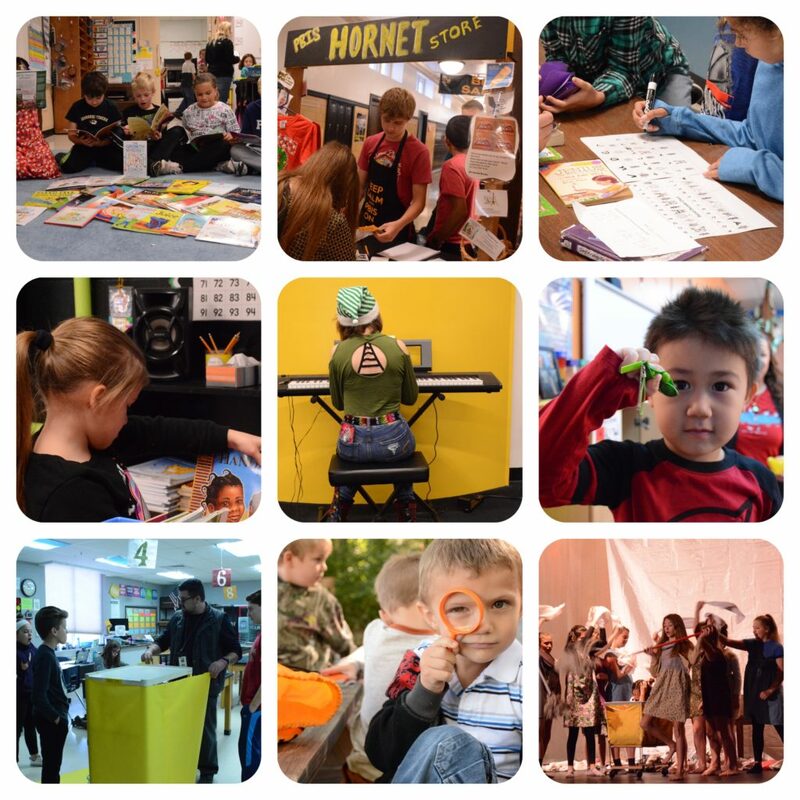 Click here to see the 2018-19 Fulton Public Schools Foundation classroom grants in action! The Fulton Public Schools Foundation was established in 2003 to create a private commitment to public education as a resource for matching the educational needs with the resources of dedicated contributors. Our Mission: The Fulton Public Schools Foundation is an independent non-profit organization providing financial support to enhance the educational experience in the Fulton Public Schools. Strong public schools are an investment in our community and our future. Thanks to support from parents, alumni and community members, Fulton Public School Foundation is on a path to better sustain and expand programs that make Fulton Public Schools places of outstanding educational experiences. Now more than ever, private contributions are making a difference in public education. 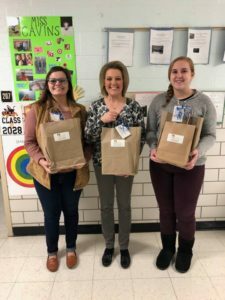 Shari Means memorial read-aloud libraries were distributed in January 2019! 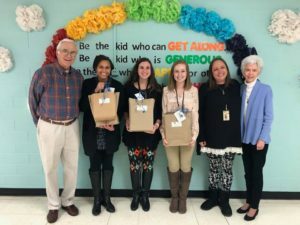 Pictured: McIntire Elementary teachers: Michelle Moore, Emma Sweere and Audrey Hamilton receiving their real-aloud libraries from Shari’s family, Charlie and Jo James and Mallory Morice. Memorial donations to the Foundation, in memory of Shari Means, provided the funding for the libraries. The Bartley elementary teachers also receiving their Shari Means memorial read-aloud libraries! Pictured: Michaela Baumgartner, Serina Booher, Anna Relihan & Megan Miller . Memorial donations to the Foundation, in memory of Shari Means, provided the funding for the libraries. 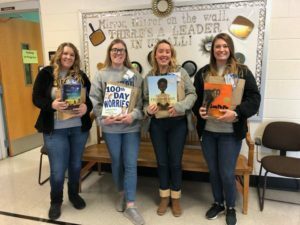 The Bush Elementary teachers receiving their Shari Means memorial read-aloud libraries! Pictured: Alexi Cavins, Heather Homann & Amber Steinwachs. Memorial donations to the Foundation, in memory of Shari Means, provided the funding for the libraries.